On hot summer nights when it’s way too hot to cook inside the house, I like to go to the local Mexican grocery store to quickly buy a family meal from the deli. 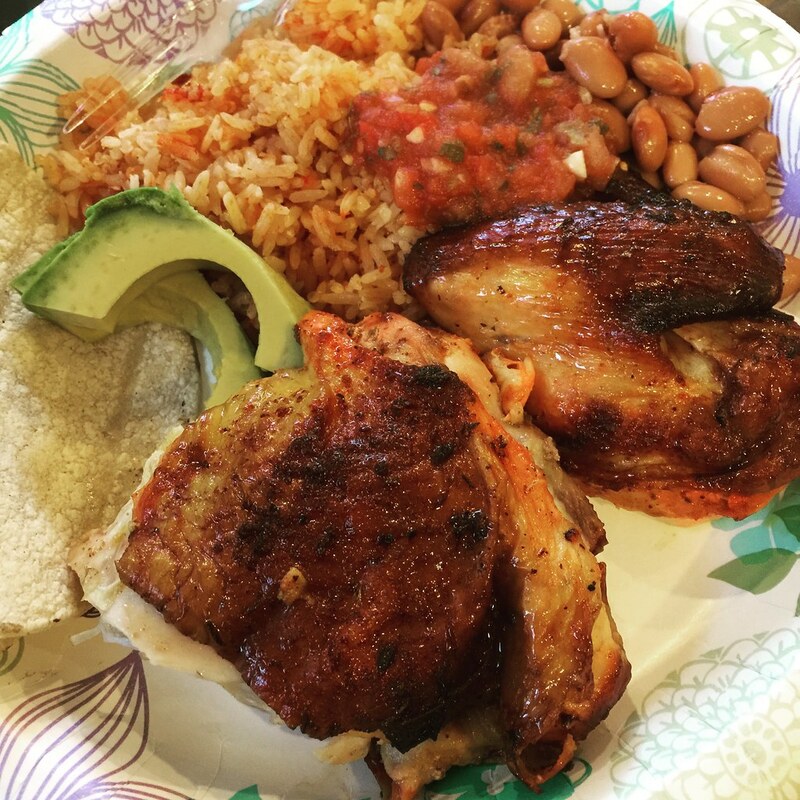 There are always a few family meal options available, but I love the family meal that includes a whole butterflied chicken, beans, rice, tortillas, and salsa. The butterflied chicken is loaded with bold and flavorful Mexican spices, juicy and tender, and super tasty. 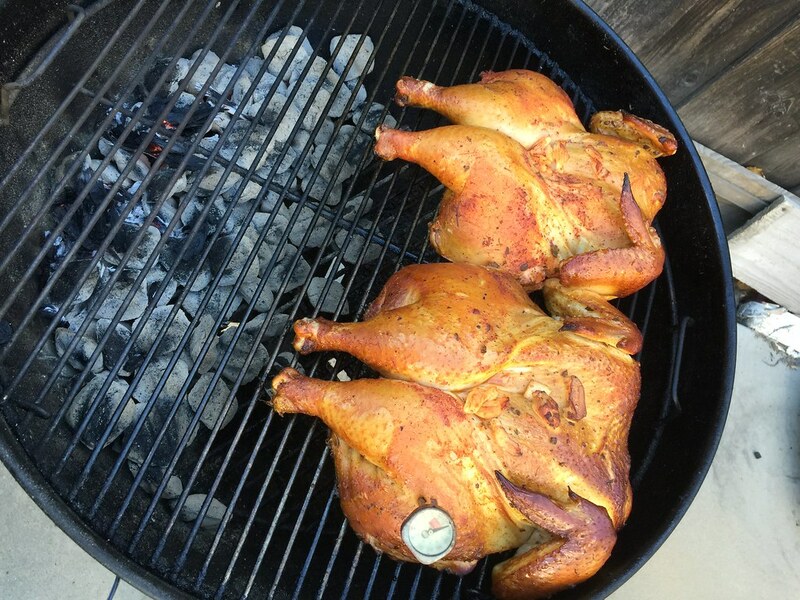 Last weekend, some friends come over to watch a free UFC event on TV and I recreated this experience at home by butterflying two chickens and grilling on the Weber in the backyard. Butterflied Chicken, also known as, Spatchcock chicken or split chicken, is another effective technique used to cook a whole chicken on the grill. For this technique, the backbone of the chicken is removed and the chicken is flattened with the breasts and legs are facing up. Then, the butterflied chicken is grilled over indirect heat for about 45 minutes. That’s pretty much it. 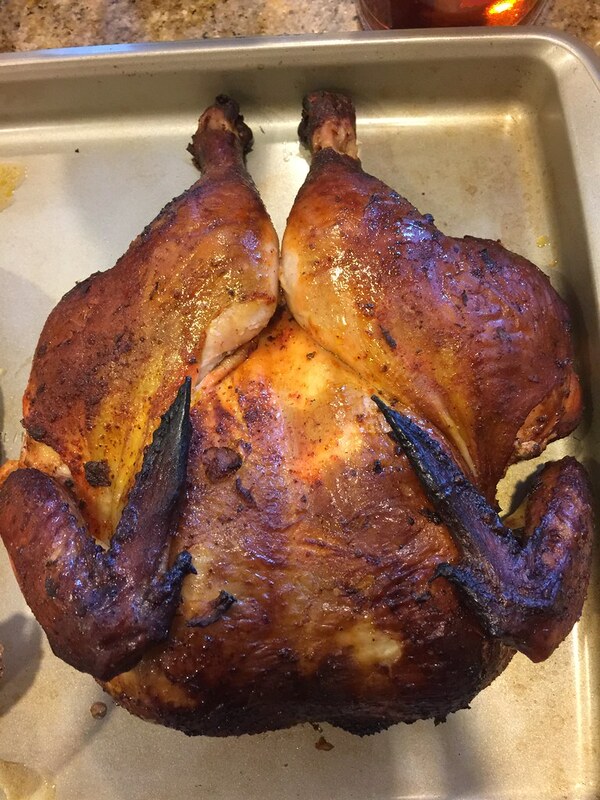 For a freaking super flavorful and juicy Mexican chicken that is tastier than the chicken from the deli in the Mexican grocery, give this technique and recipe a try. 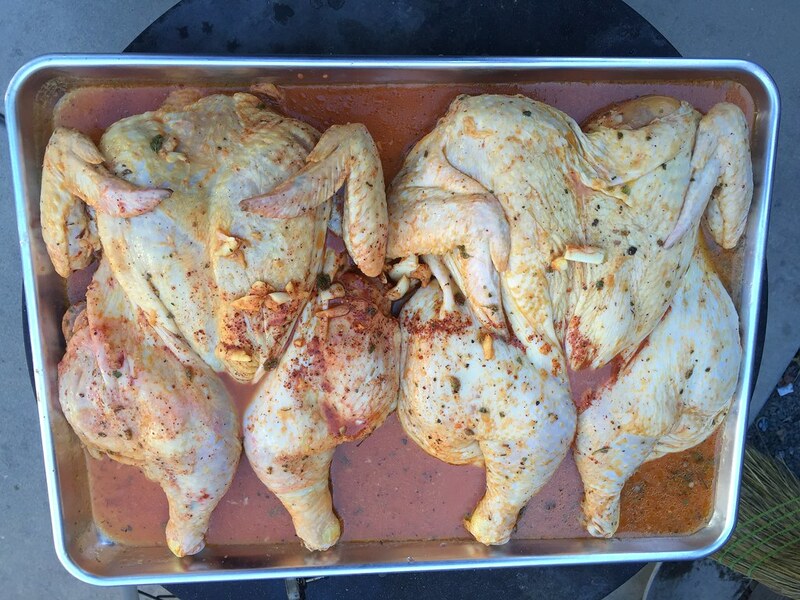 Butterfly Chicken: Place the chicken on a cutting board breast-side down. Using Kitchen scissors, cut down each side of the back bone. Discard the backbone. 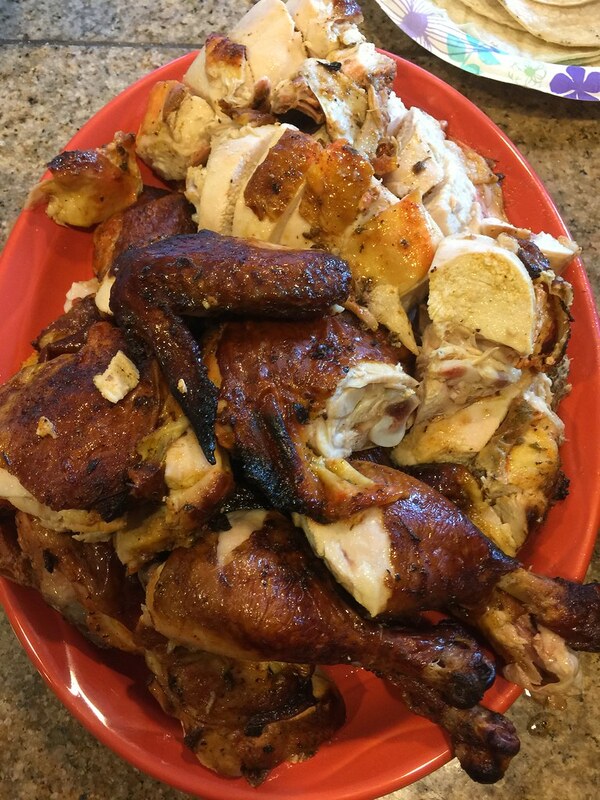 Marinate Chicken: In a large mixing bowl, whisk together orange juice, lime juice, vegetable oil, honey, garlic, achiote paste, kosher salt, Mexican Oregano, ground black pepper, and yellow food coloring. Add Chicken and marinate for at least 3 hours, preferably overnight. Grill Chicken: Set up two-zone fire on the grill for indirect grilling. Clean grate and then oil the grate. Remove chicken from the marinade and pat dry. Place chicken over the indirect heat with the drumsticks closest to the flames. Cover grill with the lid with vent holes fully opened over chicken for 45 minutes or until the internal temperature of the chicken breast reaches 165 degrees. Remove chicken from the grill, and let rest for 10 minutes. Serve Chicken: Carve chicken into pieces and serve with Mexican rice, beans, tortillas, avocados and your favorite salsas. Freeze the chicken backbone and use to make chicken broth or soup.